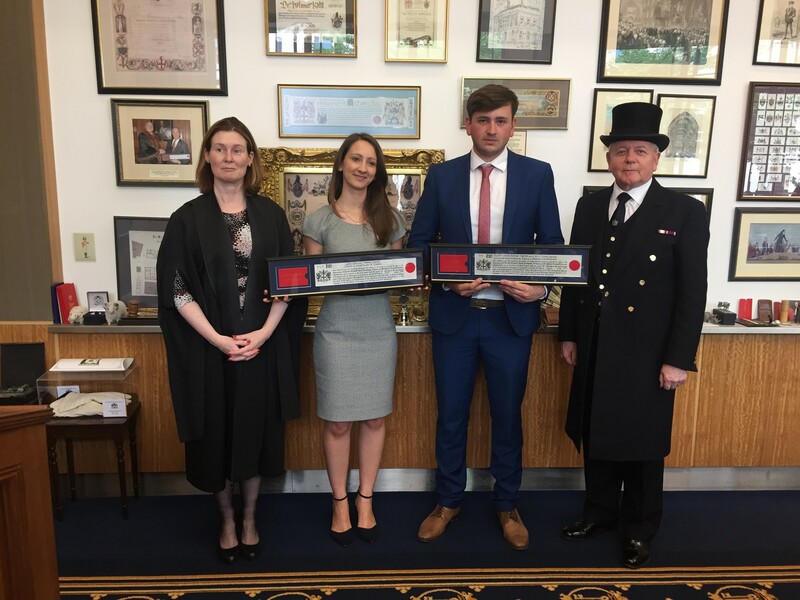 Freemen Lydia Walpole and Robert Ingram are siblings who received their Freedom of the City of London on 23rd April. Unusually, the Freedom of the City of London was conferred in a joint ceremony. Lydia was formerly Past Master Dr Christine Rigden’s Apprentice in the Company, and Robert was an Apprentice under Past Master Stephen Rigden. Both are Civil Engineers with Costain.